We’re in the last few weeks for entries in the 2016 Hackaday Prize — specifically the challenge is to show off your take on assisstive technology. This is a hugely broad category and I’ve been thinking about it for a while. I’m sure there’s a ton of low-hanging fruit that’s not obvious to everyone. This would be a great time to hit up the comments below and leave your “hey, I always thought someone should make…” ideas. I’m looking forward to reading them and it might just inspire someone to spend the next couple weeks hammering out a prototype to enter. For me, it’s medication. I knew this can be a challenging problem having gone through a few cycles of prescription medicines in my life. But recently I helped out a family member who was suddenly on many medications taken on eight different times a day — including once, twice, three, and six times per day. This was further compounded by sleep deprivation (having to set alarms at night to take the medicine) and drowsy/woozy effects from the medicine. I can tell you first hand that this is really tough for anyone to deal with and it’s incredibly easy to make a mistake or not be able to remember if you took a dose. We’ve seen a number of pill organizers before and that’s what I reached for in this case. However, that organizer only had four slots for each day. I didn’t hack it (other than writing on the doors with a Sharpie for when to take each) but even if there were added buttons or LEDs I’m not convinced this would be a marked improvement. What you see above is my proposal for the medicine problem. Smartphones have become ubiquitous and the processing power and cameras of even budget phones are mind blowing. I think it is entirely possible to write an app that uses computer vision to recognize pills and sync them with the schedule. This may mean whipping the phone out of your pocket, or designing a pill box that has a phone stand next to it (saying that makes me think of using RPi and a Pi camera). Grab your pills and validate them under the camera. The screen of the phone would use augmented reality to overlay information about the pills it sees — you know, like Pokemon Go but in a way that enriches your life. ‘pills, catch ’em all!’ — new pills can be learned of the fly, delivering the user to a screen to identify the pill and the dosing schedule. Taking the validation picture will record when the medicine was taken, and the natural extension of this systems is a pharmacy’s ability to push your dose schedule to your account when you pick up the prescription. A stretch goal would be keeping an eye out for interactions. This is all very much like how hospitals do it — they’re scanning bar codes on the packaging and the patient bracelet and recording it. This would be an easier user experience and quite frankly I think companies already in this space (like Snapchat and Niantic) could whip this up in a single-day hackathon no problem. Is it the perfect system? Maybe not. But there is no perfect system or we’d be using it by now. We need you, the world’s talent pool, to step up and make life a little better. Do it in prototype form by October 3rd and you’ll be eligible for one of twenty $1000 cash prizes and a chance at winning the Hackaday Prize. But even if you don’t build a single thing, one idea could be the spark that lets others change the world for the better. So let’s hear it! The biggest problems with pharmaceuticals isn’t patents, industry reps, or the fact that advertisement to consumers is allowed; this only happens in the United States. No, the biggest problem with pills and medications is compliance, or making sure the people who are prescribed medication take their medication. 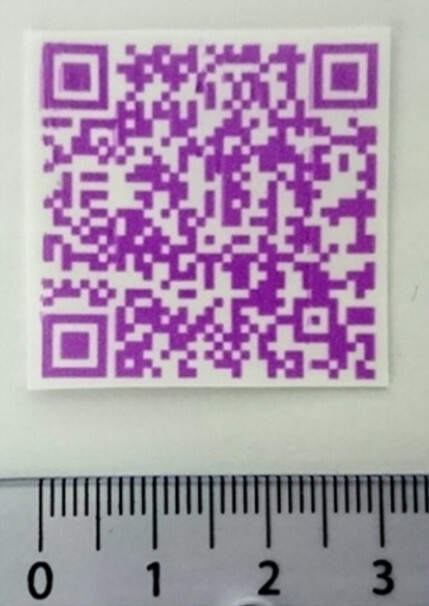 For his Hackaday Prize entry, [Joe] is working on a solution. It’s a smart desktop medicine organizer, and you can think of it as a pill box with smarts. The list of features of [Joe]’s organizer include automatic pill organization – each prescription is accessed independently of all the others. When it’s time to take a pill, the smart medication dispenser plops out a pill. You can check out the demo video [Joe] put together using M&M candies. 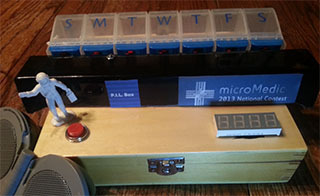 There are a few more features for the Smart Desktop Medicine Organizer, including connecting to pharmacy APIs to order refills, checking for drug interactions, and setting timers (or not) for different medications; meds that should be taken every day will be dispensed every day, but drugs taken as needed up to a maximum limit will be dispensed as needed. It’s a very cool project, and you can check out [Joe]’s video for the project below. Last year’s Hackaday Prize focused on building something cool, useful, and open. This led to builds as impressive as quadcopters nicknamed the Decapitron, to devices as useful as an Everything Radio. It’s a big field, and if you want to build something that will win, you first need an idea. This year we’re making that part of the process a little easier for you. We’re looking for builds that matter, be they devices that monitor pollution, feed entire populations, lay the groundwork for powering an entire city, or reduce the cost and increase access to medical care. Medical builds are a tricky subject, but over the years we’ve seen a few that stand out. Some can be as simple as a pill dispenser that tells the Internet when you don’t take your meds. This type of build is actually pretty popular with several iterations, one that works with pill bottles. Maybe a gadget you could find in a drug store isn’t your thing. That’s okay, instead you can turn your attention to advanced medical imaging, like 3D printing a brain tumor and preventing a misdiagnosis. We’ve seen 3D printed MRI and CT scans for a while now, and coming up with a system that automates the process would be a great entry for the Hackaday prize. Of course with 3D printers, you have a bunch of prosthesis applications; from a nine-year-old who designed his own prosthetic arm, a printed prosthetic arm for a stranger, or something simpler like our own [Bil Herd]’s quest to rebuild a finger. These are all simple builds, but ones that clearly meet the criteria of doing something meaningful. The sky is the limit, and if you want to improve the desktop CT scanner, learn CPR (correctly) from an automated assistant, or be brought back to life with your own design, that’s all well within the goals of this year’s Hackaday Prize. Here’s another entry in the Parallax microMedic 2013 contest. [Tim] calls it his Propeller-based Internet Logging Pill Dispenser (PDF file), or P.I.L. Box for short. The hardware is a base unit into which a normal plastic pill organizer is placed. We like this design, as many pharmacies will fill pill boxes for you and this doesn’t complicate that process. You simply pull out the correct box at the beginning of the week and put it in the base unit. You can see one white LED is shining on the Monday slot in the box. This lights up starting an hour before the set pill taking time. This way if you walk by it reminds you. There is also a voice tailor made to scare the elderly that comes out of the speaker, and a simple messages spelled out on the set of seven segment displays. The base unit detects when you press the button to open the pill box and counts that as a properly administered dosage. Now, if you forget to take the pill it’s not a good thing. The server, which is running on the laptop, will rat you out. It uses the Twitter API to alert whomever is following it — meant for a relative or caregiver — that a dosage was missed. Let’s hope they’re good at keeping up with their Twitter feed! We remember seeing one other microMedic entry so far, this heart-shaped heart simulator. But we’re going to look around and see how many other good ones we’ve missed.